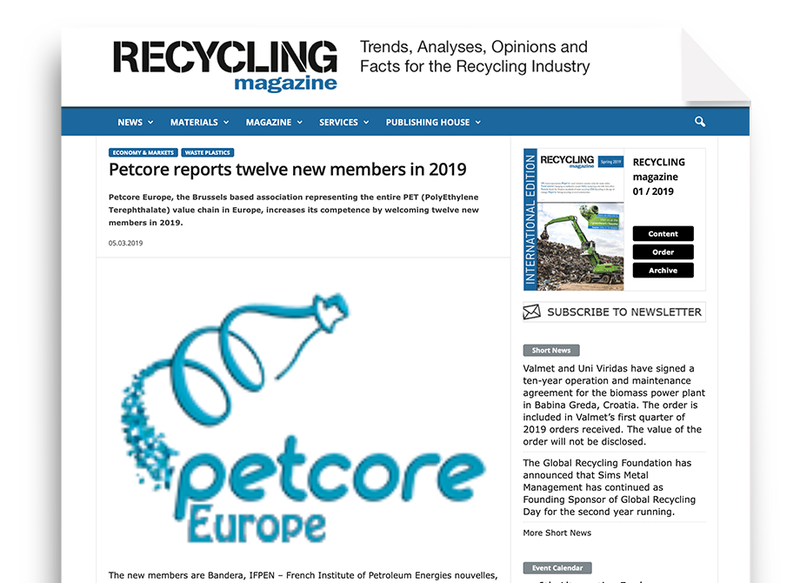 Petcore Europe, the Brussels based association representing the entire PET (PolyEthylene Terephthalate) value chain in Europe, increases its competence by welcoming twelve new members in 2019. Sustainability. Innovation. Disruption. Words that get used freely. The time has come to prove what we say. 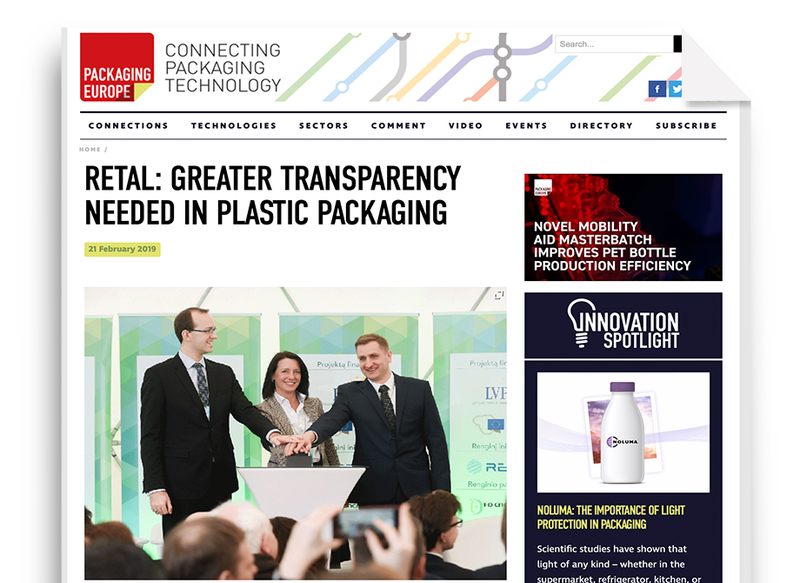 Across the packaging value chain, sustainability, innovation and disruption are all more necessary now than ever before...as long as there's transparency too. 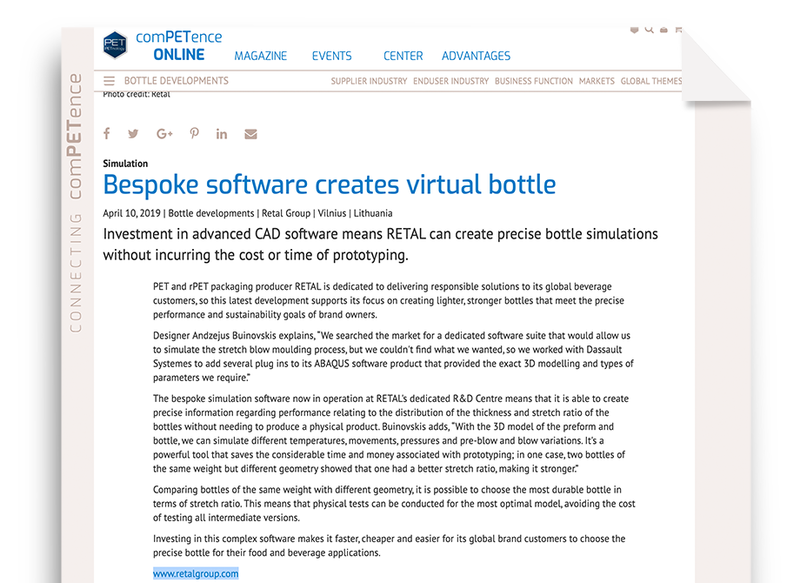 The bright light that is shining on the plastic packaging industry is not always flattering; it shows up our imperfections. But with transparency, that bright light is a good thing. 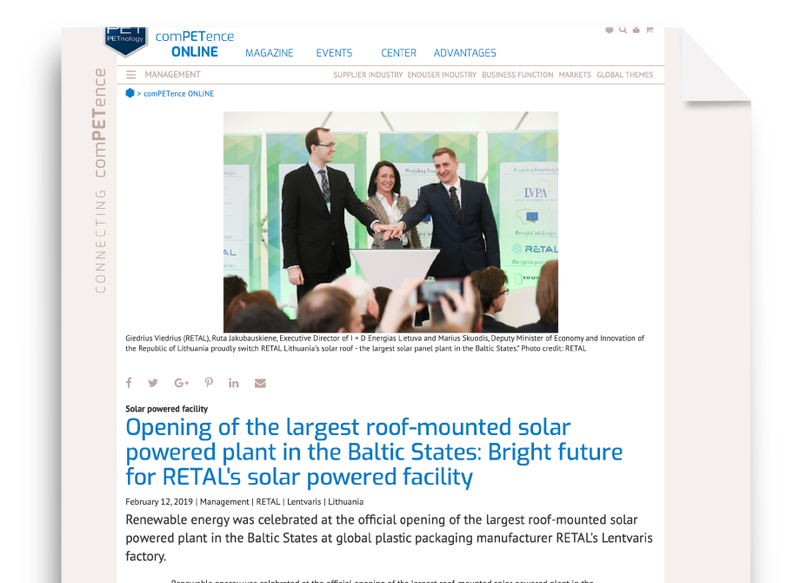 Renewable energy was celebrated at the official opening of the largest roof-mounted solar powered plant in the Baltic States at global plastic packaging manufacturer RETAL's Lentvaris factory. Attended by many of Lithuania's leading business people interested in green energy, the event, called “Solar Energy and Lithuanian Business: Good Practices and Challenges”, was held on Thursday 7th February.